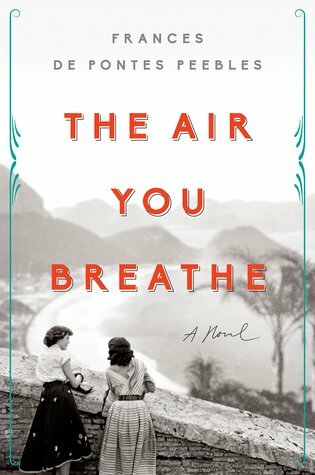 The Air You Breathe by Frances de Pontes Peebles delivers a Brazilian historical tale that is rich in culture. It also features two women going against the present life to find something better for themselves. They go away from their community’s expectations and soar higher than they can dream. Music, slavery, and unwavering friendship make this an interesting read. Frances de Pontes Peebles captures the time periods perfectly. Readers, like myself, will travel back in time to World War II era. The writing style is unique and gives a clear voice to these Brazilian women. It is both sad and fun to explore. Inside this book, I got to watch as two women went on to begin their own future. They quickly became best of friends with a talent in the music industry. This road leads to a roller-coaster of jealousy, love, and loss. Both need the other one for support. To them, it was like they couldn’t operate well, unless they were together. However, despite their need for each other, they also have this push and pull relationship. Each gave their support to the other one yet at times they were competitive and cruel. The Air You Breathe is an emotionally engaging story. It is easy to get swept into the characters’ lives. Overall, I recommend this women’s fiction novel to others.